En uke til skiveslipp, ny video er online. Albumet, 'E', får vi vite er et album som viser atbandet fortsatt har evnen til å tenke nytt og levere innovativ metal. " While the 10-minute-long opening track Storm Son gave fans a taster of what to expect from the new album, the single The River's Mouth reveals a heavier and more harsh side of the 14th full-length release." Video fra det kommende albumet er online. Cover, releasdato og tracklist på 'E'. "This 14th full-length masterpiece sets the musical mind-twisters free from genre boundaries and offers an unprecedented mix of prog, extreme metal and shoegaze on 8 tracks with a playing time of more than an hour. 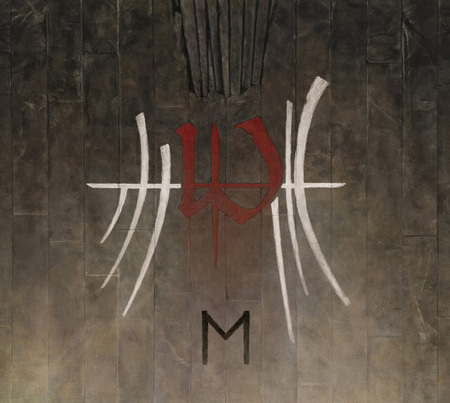 Elegantly titled E, the album was once again written by the unholy alliance of guitarist Ivar Bjørnson (music, lyrics) and singer/bassist Grutle Kjellson (lyrics) and marks the introduction of their new keyboard master and clean vocalist Håkon Vinje. 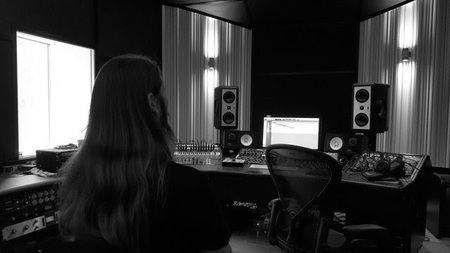 Mixed and mastered at the Fascination Street Studios by the renowed Jens Bogren, E heralds a new era for Enslaved. Its cover artwork was once again hand-painted by the Norwegian artist Truls Espedal. As support for their brave sound journey, the quintet brought several guest musicians on board for the songs Hiindsiight and Feathers Of Eolh, including Wardruna's Einar Kvitrafn Selvik, flutist Daniel Måge and jazz saxophonist Kjetil Møster." Det meldes inn at bandet har ferdigstilt sitt kommende album. "It is accomplished - the Norwegian Progressive Black avantgardists Enslaved have finished the recording process of their 14th full-length masterpiece and in the renowned Fascination Street Studios, Jens Bogren polished this new raw diamond with his mixing and mastering skills. Just like for their predecessor In Times, which stormed the soundcheck rankings of the biggest European magazines, the metal veterans from Bergen still never look back and keep expanding their horizons. And this spring they created a spectacular sound chimera of experimental prog filled with majestic melodies, epic sound landscapes and harsh black metal moments - all united in a massive storm that will reach the coast this autumn. Grutle: "I'm always psyched and proud when we have finished an album recording, and this is no exeption! It was a really exciting process this time, with the line-up change and everything, so although it wasn't a dramatic change, the band dynamics were suddenly different. But, it was like a little re-boot, a fresh start so to speak. The studio sessions were great, and we all feel that we have done something truly amazing. We hope you'll enjoy it. Ugh!" Ytterligere info kommer 11. august i følge Nuclear Blast. Bandet er i Bergen og spiller inn sitt kommende album. Nuclear Blast melder dette. De poengterer at det er over to år siden 'In Times' kom, og at de nå er i gang med oppfølgeren. Enslaveds kommende og fjortende fullengder, skal visstnok dra musikken i en retning hvor stikkord er mer progga, villere og melodier. "The recordings are taking place at Duper & Solslottet Studios in Bergen throughout April, and will be mixed and mastered by Jens Bogren at Fascination Street Studios. With its epic touch, the album promises to be original and refreshing - and to contain some surprising new elements." Ivar Bjørnson forteller at det er "...fantastisk å være i studio med disse nye sangene. Med In Times åpnet det seg så mange dører for oss, som band, for meg som låtskriver og for oss alle på et personlig plan." Han legger til at han aldri har "...jobber så hardt for å lage musikk til et album før, og denne intensiteten blir med inn i studio, hvor hele bandet gir alt." Avslutningsvis sier gitaristen at han har tatt flere risker nå enn noen gang tidligere, og spesielt en ting stikker seg ut, noe dere der ute må avvente for å finne ut :). Truls Espedal står nok en gang for coverkunsten, oppdateringer følger.